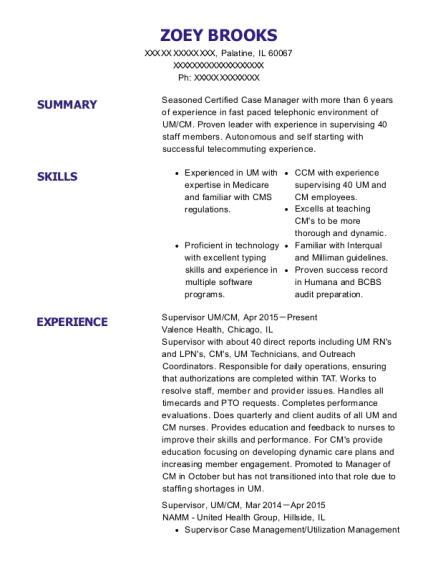 Dedicated supervisor with 4 plus years of experience managing and training employees to achieve company goals and standards. Passionate and motivated always striving to create the most efficientand productive environment. Attended Minnesota Safety Council training on incident investigation and forklift train the trainer. Went through Supervisory Management classes at Loparex put on by Wisconsin Indianhead Technical College. Use computers for various applications, such as writing nightly shift reports, running daily shift numbers, and writing up incident investigations. Enforced company policies on safety and PPE. Helped production operators inspect materials, products, or equipment to detect defects or malfunctions. Directed 3 machine operators on what needed to be done during changeovers to reduce machine down time. Checked quality of the products that were being run. Trained new employees on how to run their area of the machine and how to be safe while doing so. Observe machine operations to ensure quality and conformity of products to customer standards. Make quality splices to reduce machine down time. Check quality of the product being ran. Package all the finished goods to the correct standards of the customer. Distribute materials, supplies, and equipment to trailers, using lifts and trucks. Loading the correct products into the correct trailers so shipments are delivered on time. Unloading products from trailers without damaging any customer products. 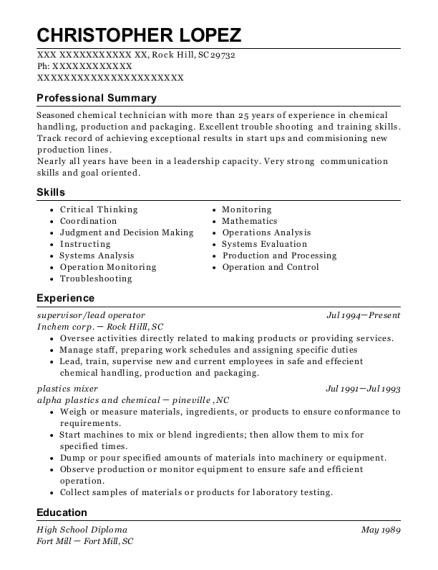 This is a resume for a Night Shift Production Supervisor in Baldwin, Wisconsin with experience working for such companies as Loparex and Loparex. 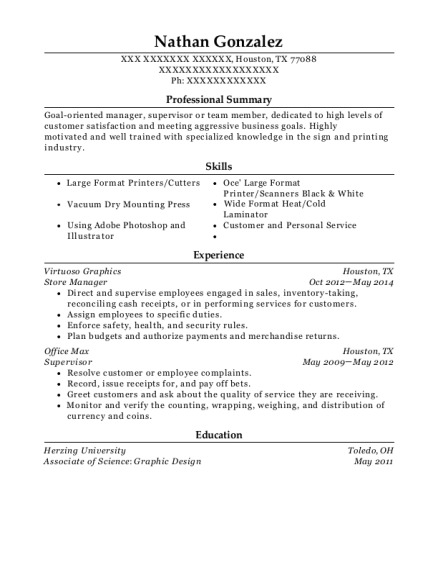 The grade for this resume is 0 and is one of hundreds of Night Shift Production Supervisor resumes available on our site for free. 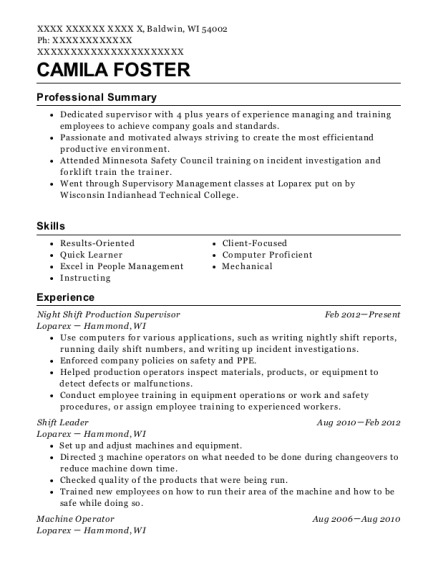 Use these resumes as templates to get help creating the best Night Shift Production Supervisor resume.